Lawrence Ralph Malott, Jr. age 85 of Bellevue, passed away Sunday Sep. 23, 2018 at The Willows of Bellevue. He was born Aug. 1, 1933 in Ft. Wayne, IN the son of the late Lawrence R. & Phyllis (Harris) Malott, Sr.
Larry retired in 1993 from Norfolk Southern Railroad as a supervisor in the Diesel Shop. 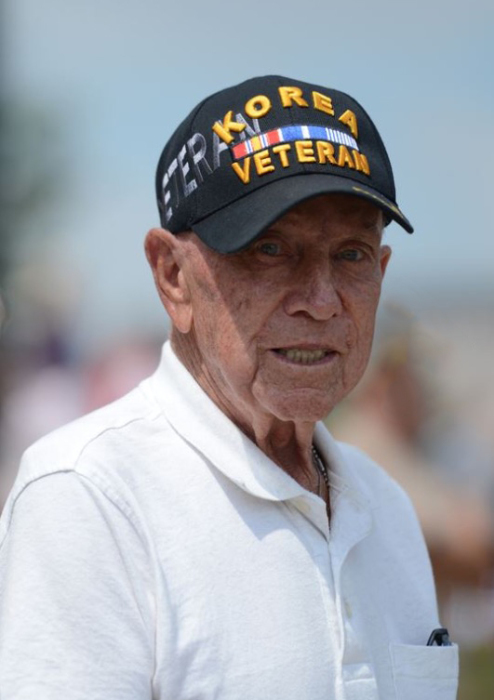 He served in the US Army in the Korean Conflict and was a member of the Bellevue VFW, NARVRE, Sandusky American Legion, Eagles Aerie 490, and Immaculate Conception Church. He is survived by his wife Joan E. (Harber) Malott whom he married, Apr. 7, 1956 in Ft. Wayne, sons; Dennis M. (Teresa) Malott of Clyde, Ronald E. (Teresa) Malott of Castalia, and Matthew P. (Courtney) Malott of Bellevue; daughters: Kimberly Jennings of Maryville, TN, and Maria A. (Mark) McWilliams of Bellevue; daughter-in-law: Christy Malott of Bellevue; 13 grandchildren: Kathryn (George) Parks, Benjamin (Brittney) Malott, Alexander (Jenna) Malott, Amy (Ryan) Harbour, Dustin (Danielle) Malott, Alissa (Justin) Cramer, Jacquelyn Jennings, Samantha Jennings, Caitlin Jennings, Shelby McWilliams, Mason McWilliams, Brady McWilliams, and Weston Malott; 3 step-grandchildren: Allison Heuring, Alex Heuring, and Gavin Sidoti; 20 great-grandchildren; and brother: David (Deb) Malott of Grand Junction, CO. In addition to his parents, Larry was preceded in death by his son, Brian Malott, great-grandson, Jonathon McAfee, and brother, Phillip Malott. Friends will be received Thursday, Sep. 27, 2018 from 10:00 am until the funeral Mass begins at 11:00 am in Immaculate Conception Church, 231 E. Center St., Bellevue. Foos and Foos Funeral Service, 151 Yorkshire Place, Bellevue is in care of arrangements.